Based at the Ashburton training centre near Pietermaritzburg in KZN, Duncan Howells is one of the most recognized and respected trainers in not only KZN, but across South Africa. Duncan is well supported by Cathy Rymill, who has long partnered this award winning stable. See more about this successful team below. 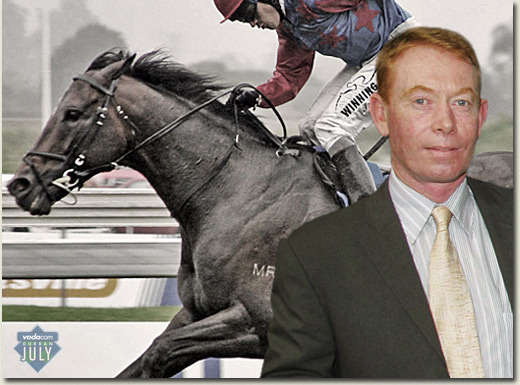 Born into a racing family, Duncan Howells started his career in the early 80â€²s as an assistant to Eric Sands and also later assisting Champion Trainer David Payne for eight years. Duncan took out his open license in 1999 and saddled his first runner and debut winner, Whispering Magic, on the 1st of August 1999. Having had multiple success up to Grade 1 level including Equus Champion Via Africa, Duncan is well known and respected in the KZN racing community. He was crowned KZN Champion Trainer in the 2013/14 season. Cathy worked in the UK racing industry and completed a higher national diploma in stud management in Whitney near Oxford. She moved to South Africa twenty years ago and worked on various stud farms in the Mooi River area. She teamed up with Duncan Howells Racing where she is in charge of the yearling selection and administration. Visit their website, for more info on upcoming runners etc.